This was a reader request! 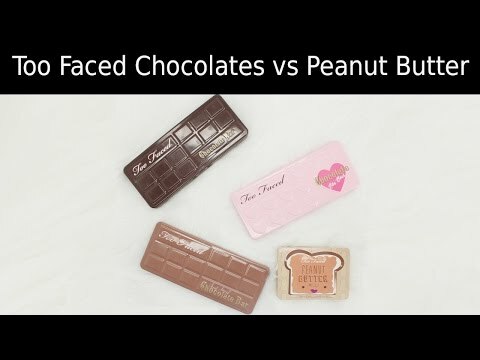 I’ve got my Too Faced Chocolate Palette comparisons, where I talk about the Bon Bon Palette, Semi-Sweet Palette, the Original Chocolate Bar Palette and I even threw in the Peanut Butter and Jelly Palette. I reswatched all of these in one sitting and identical lighting conditions. 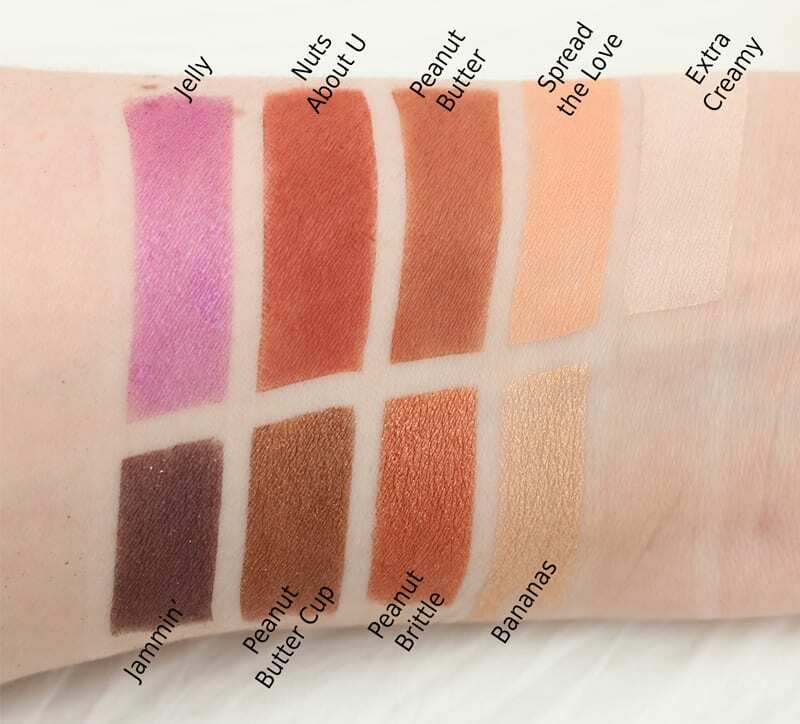 They’re swatched on bare skin. Give this video a thumbs up and share it with someone who loves makeup! If ONLY Black Currant was a real purple. The light taupes and pinks really work well on my skintone. Totally Fetch is fun, even if it’s not as intense as the original shade. My hooded eyes are grateful for the mattes. If you love how you look in pink tones and taupes, you’ll find this flattering. Semi-Sweet Chocolate Bar is my next favorite. (.56 oz product). It has some good mattes / matte-satins. Blueberry Swirl is pretty, if subtle. I like Pink Sugar now that I’ve found the appropriate way to use it – for layering. It has some gorgeous colors to bring out my blue-green eyes, like Caramel (golden copper metallic) Bon Bon (peachy copper metallic), Peanut Butter. If you look good in orangey coppers or cool/neutral browns you’ll love this. As you can tell from the top row, it has all the staple neutrals you’ll need, and some fun shimmery shades too. Original Chocolate Bar (.62 oz product). It’s my least favorite. Several of the shades have to be built up. Not as many mattes. Too many midtone browns that just go muddy on me. I love Candied Violet (smoky purple), Cherry Cordial (deep burgundy) and Black Forest Truffle (smoky plum) but they’re not the easiest shades to work with. 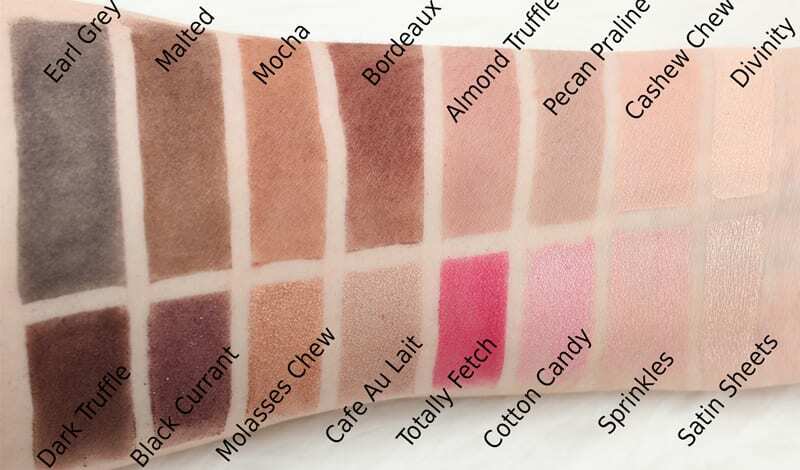 Marzipan (light rose gold), Champagne Truffe (iridescent pink) and Salted Caramel are my favorites from this palette. 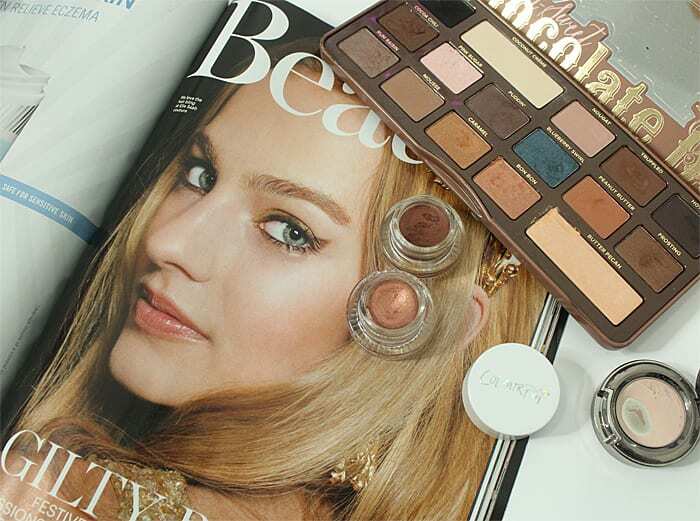 If shimmering browns, golden browns and chocolatey browns are your favorite colors to wear, this is the palette for you. It’s just not for me, as I struggled to make the shades work. Peanut Butter & Jelly ($36 for .39 oz.) 4 of the 9 shades are mattes. Jelly is really pretty, but sheer and has to be built up. It benefits from a purple base. It reminds me a little of MAC Stars n’ Rockets, except Too Faced is cruelty free, where MAC is not. Bananas is great for layering at the center for a golden halo look. 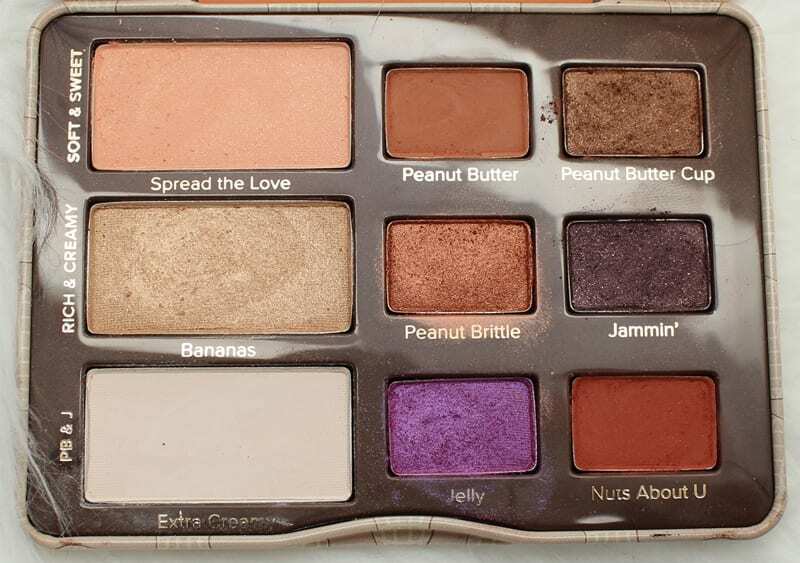 I wish instead of Peanut Butter Cup we had another ‘jelly’ type shade. I wish Jammin’ was more of a true purple. This palette is an excellent value for the price, in my opinion. I’ve included links to my recent tutorials with the Chocolate Bon Bons Palette, the Semi-Sweet Palette and the Peanut Butter & Jelly Palette to give you ideas on how to use the palettes. Make sure you check out 10 Life Changing Beauty Hacks You Need to Know! 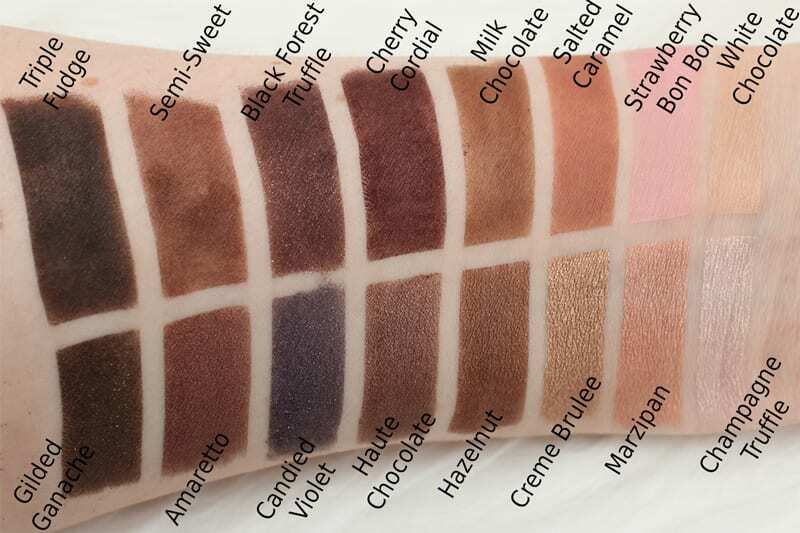 So tell me, what is your skintone, which is your favorite palette and why? 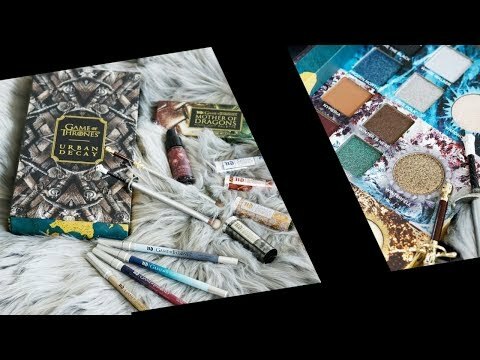 Which pallet is good for beginners? I would pick the Semi-Sweet because it has a range of staple neutral shades. Thank you! Will you be getting the sweet peach pallet? I bought it and I will be reviewing it. I will also be doing a dupes post for it! Definitely excited for that! Especially the dupes! My favorite one is the original one – I immediately shied away from Semi-Sweet because I look awful in warm/copper/rusty tones like that. I am intrigued by the Bon Bons, that’s got a lot of great cooler tones for me! I think I’m gonna take the plunge and buy chocolate Bon bons! 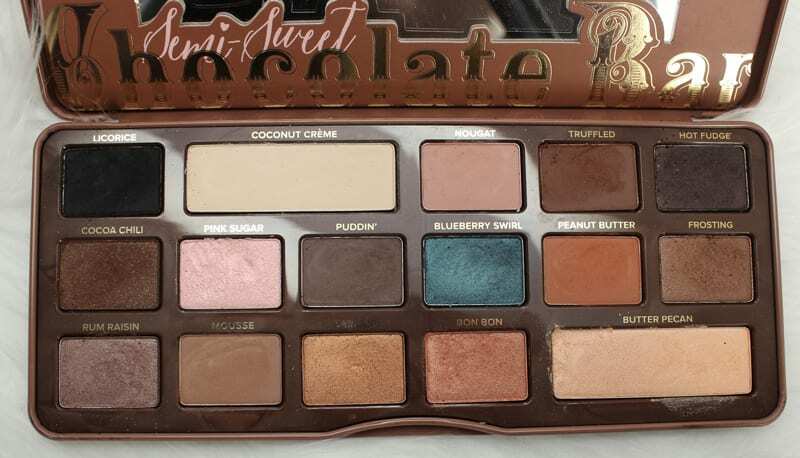 Have you gotten your hands on the sweet peach palette/ if not are you interested in buying??? I spent from 3am EST to 5:30 am EST trying to buy the Peach Palette from the Too Faced website. Unfortunately for me, their site kept crashing on me and I couldn’t buy it. I was really disappointed with how that turned out. Wow that’s a bummer! I hate when that happens, when you make that effort to get on there and keep trying! I am so looking forward to seeing your review when you DO buy it! That has happened to me, it was something similar to the ULTA 21 days, and I made sure I was there at the right time, so frustrating @phyrra what happened, where you able to finally purchase it? Looking forward to trying the Melted Mattes too! Oh I finally tried one of the Melted Metallics, in Peony, it’s a really pretty shade!, I like it much more than the original Melted Peony, which was way too much of a “pink” on me! Yes me too! Thanks for the awesome review, all the swatches and comparison! 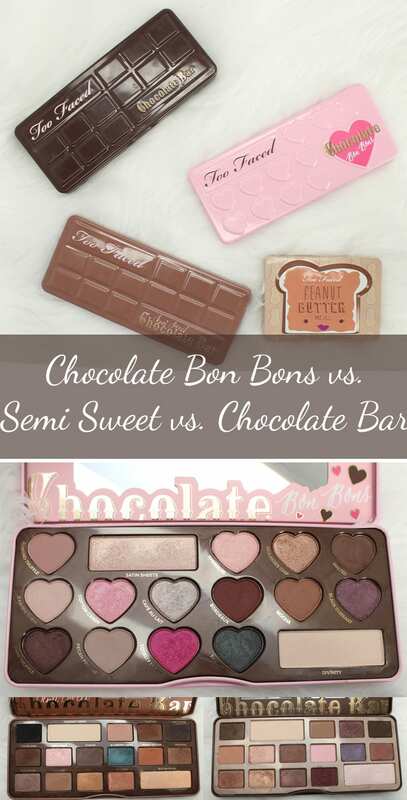 I do think the Bon Bons Palette is my favorite of the Chocolate Bars, and thanks for the beautiful photos, because I now do see how well it would complement the PB & J! It was/or is sold out on the Too Faced site but is now available at ULTA, and another place to buy Too Faced I’ve found is Macy’s! They get the new stuff in pretty quickly! Curses. 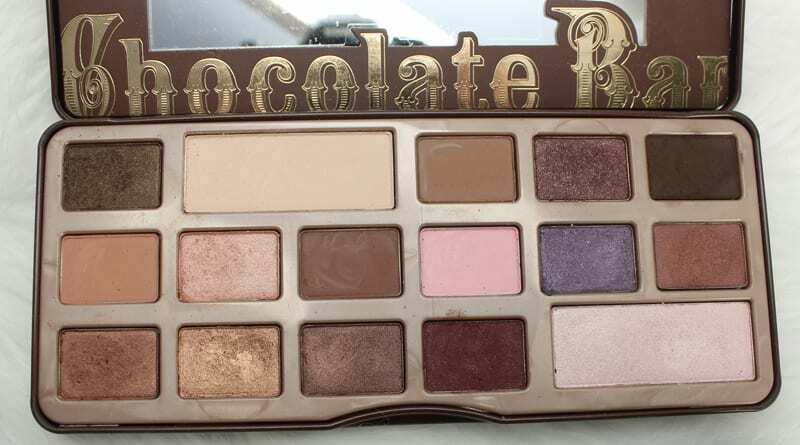 Semi Sweet Chocolate Bar and Chocolate Bar and the PB & J palette all look amazinngggg. 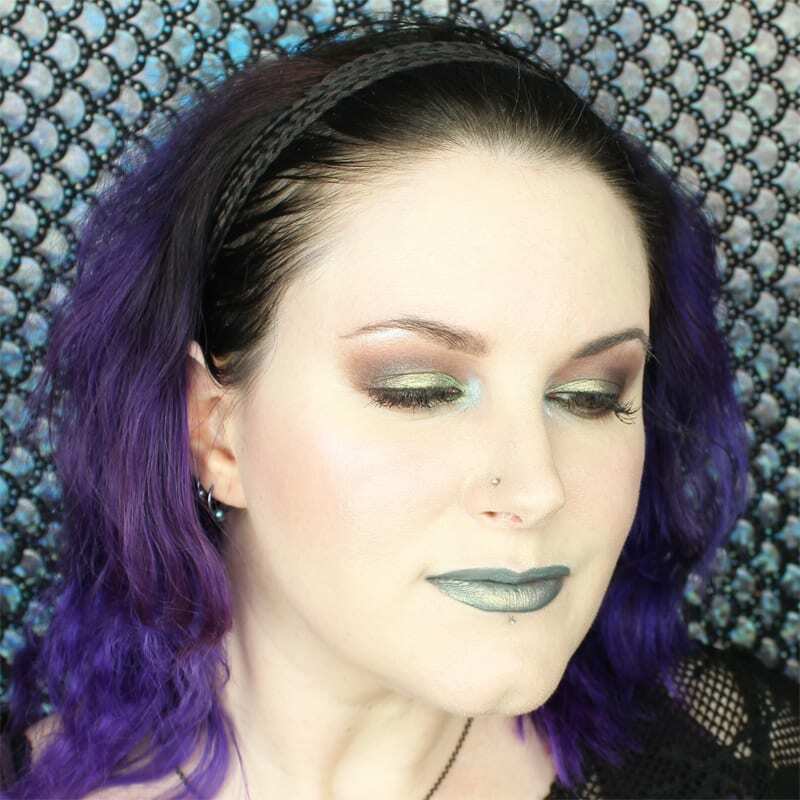 I would say that Semi-Sweet is the most versatile neutral in the sense that it has almost every shade of neutral matte and it has those coppers that will look great on you. This is such a useful post! 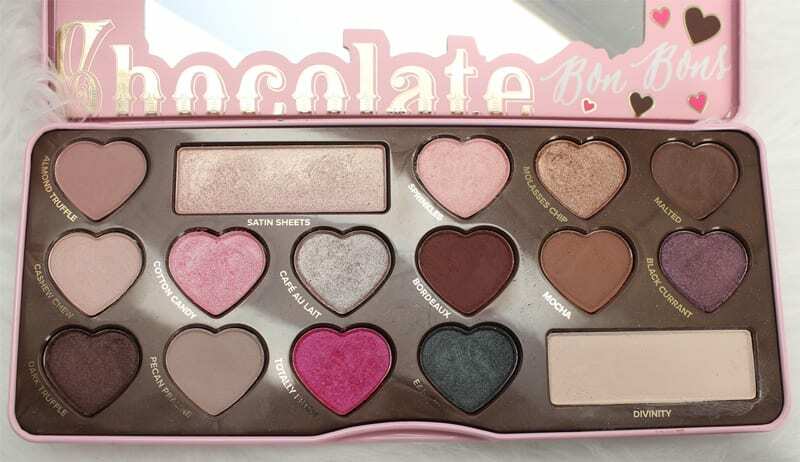 I love the first two Chocolate Bare Palettes but haven’t picked up Bon Bons yet. I couldn’t resist any of these palettes. Just couldn’t. Indulgent, maybe but I enjoy them. 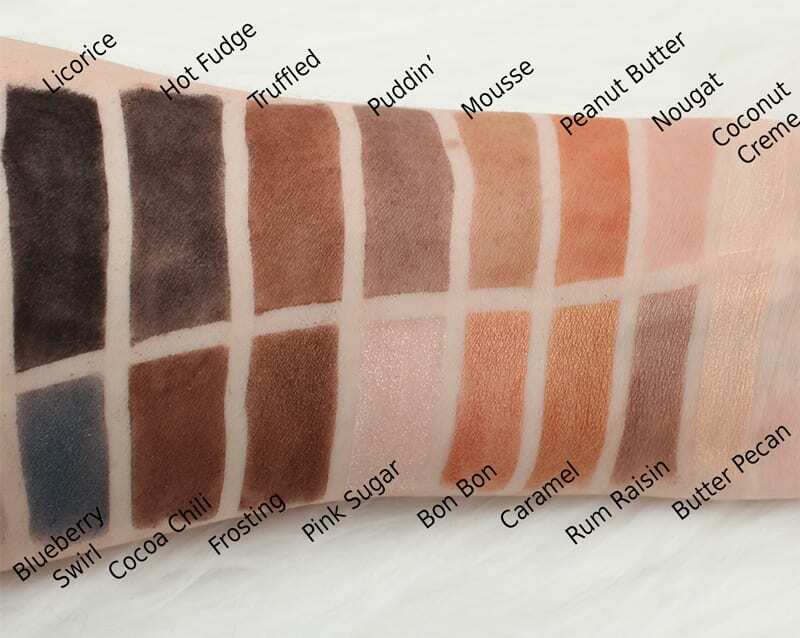 Ok your swatches sealed the deal–I NEED the Peanut Butter and Jelly palette! Ah I needed this! I still want to try one of these palettes so this comparison is more than welcome. The first two are my favourites as well! When I get to the States in a few months, I’ll take one with me 😀 Thank you! My most used is the original Chocolate Bar but that’s mainly because I’ve had it so long. I haven’t used the Bon Bons enough yet. Thanks for these outstanding swatches. I wish I could fly down to Florida for swatching and photo lessons! Thank you for this comparison of the various Too Faced palettes. These are really popular palettes and there seems to be quite an overlap of colours (warm, neutral browns). This is another great guide for makeup lovers. I actually own all of these which is rare for me when it comes to palettes like these. I love all of them and each time I use one I think that one is my favorite. This is a great post! Great job comparing the palettes. This will be a handy guide for people. I love them all, and don’t know if I can pick a favorite. Luckily, the original Chocolate Bar doesn’t go muddy on me. That’s why I chose it over Naked or Naked 2.﻿ Those medium-dark cooler browns are always so tricky on fair skin, though. I haven’t gotten to play too much with my PB & J palette yet. 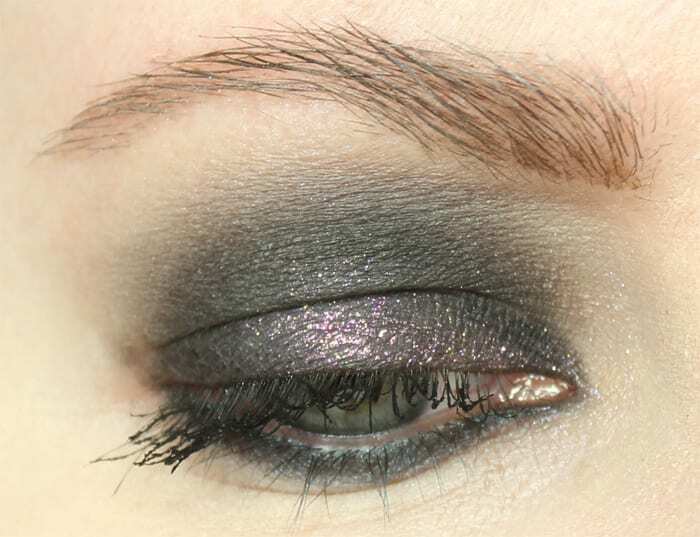 I’ll try to do a warm brown & aubergine look for soon and post on Facebook. Oooh I definitely want to see! I should be able to do one tomorrow. My makeup challenge group is doing an all one palette challenge tomorrow. Sounds like a good chance to use PB & J. My favourite is Semi-Sweet followed by Bon Bons. Can’t wait for the Sweet Peach palette! The peachy shades in there are so gorgeous! Your swatches are so incredible. 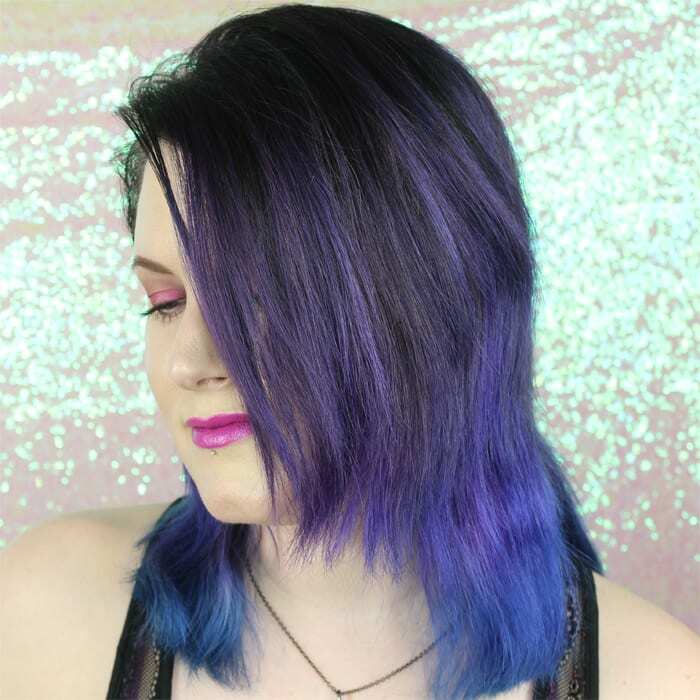 And as I mentioned before, I absolutely adore the look you created with the Bon Bons palette & MUG – too beautiful! What an amazing mega-swatchfest! I LOVE LOVE LOVE the looks that you created as well! I love these palettes so much! I have the Chocolate Bon Bons palette and I’m obsessed. It’s my favorite too! Good one to be obsessed over.